Select "New" – "Java Project" in the File menu. Enter the project name and click Next. Click the Libraries tab and press the "Add External JARs..." button. 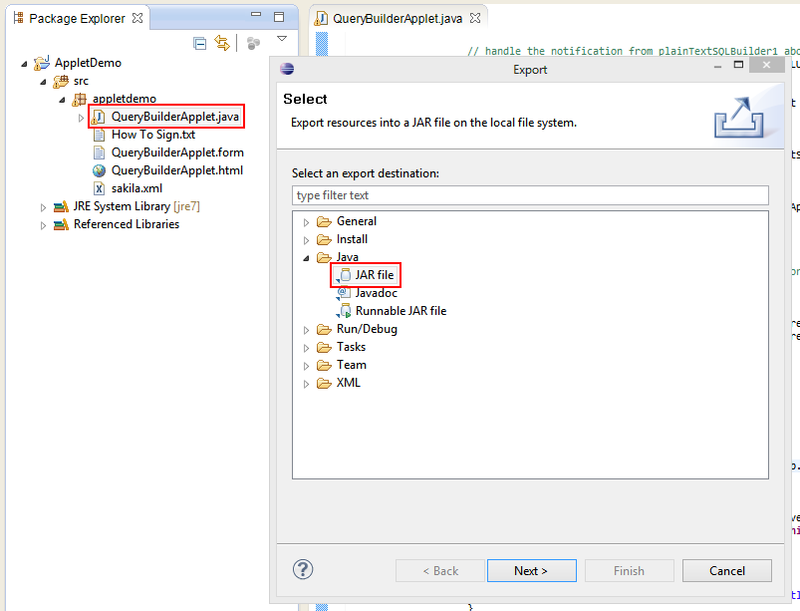 Select "ActiveQueryBuilder.jar" file from the "lib_signed" folder of the distribution package. 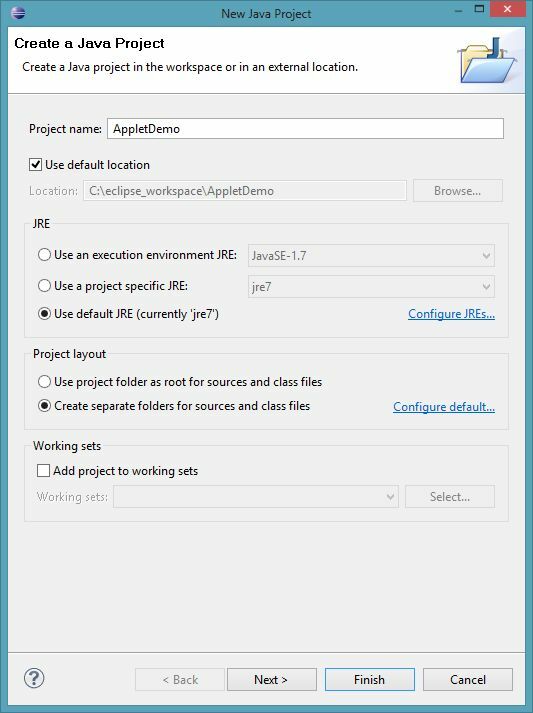 Right-click the "src" folder in the Package Explorer and select "samples\AppletDemo\src" folder of the distribution package. Now you can run or debug the project. The applet will be automatically executed in the standard Java Applet Viewer application (available in JDK). 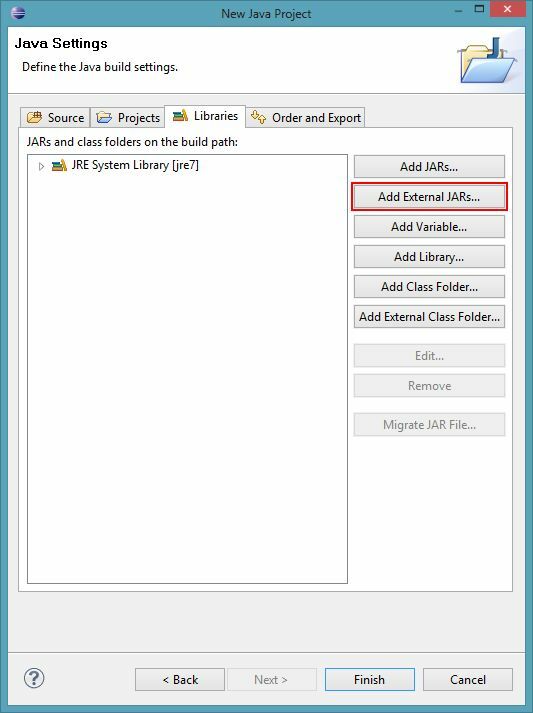 To get the compiled JAR file, right click on the java file and select "Export". 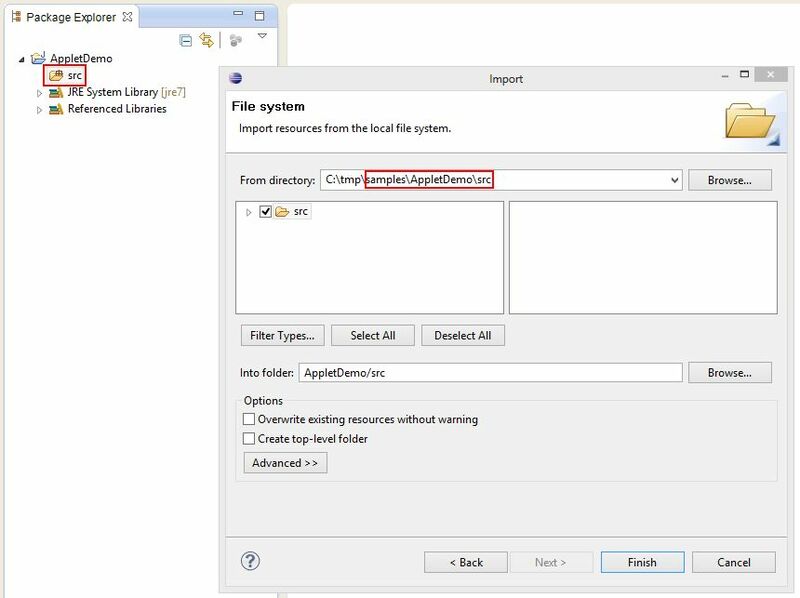 In the Export dialog choose "JAR file" and specify the export destination folder. Note: Applets always require signed JARs to be able to run in a browser. The signing instruction is available in this article.